Robert Churchill Francis was born on August 12, 1901, in Upland, Pennsylvania to the Reverend Ebenezer F. and Ida May Allen Francis. In 1910 the family moved to Massachusetts, and Robert graduated from Medford High School in 1919. He attended Harvard University, earning an A.B. in 1923 and an Ed.M. in 1926. Between these two degrees he spent a year teaching at Beirut University in Lebanon. 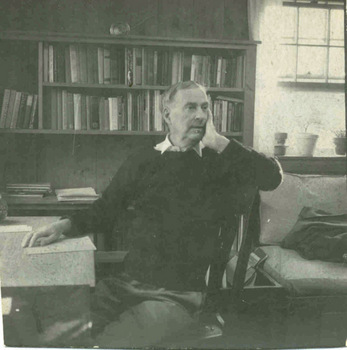 In 1926 Francis moved to Amherst to teach high school English. The teaching job lasted a single year; writing became his life's work. Robert Francis was the recipient of numerous awards and honors throughout his writing career including the Golden Rose of the New England Poetry Club (1942-43), and fellowships from Breadloaf (1936), the American Academy in Rome (1957-58), and the Academy of American Poets (1984). 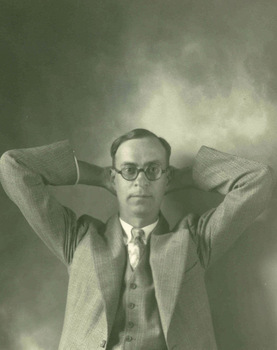 Robert Francis is best known for his volumes of poetry and his numerous contributions to journals and magazines. His first book, Stand With Me Here, was published in 1936. The last book to be published during his lifetime was Traveling in Amherst: A Poet's Journal (1986). Other writings include The Sound I Listened For (1950), Orb Weavers (1960), Like Ghosts of Eagles (1974), and Butterhill (1984). His Collected Poems was published in 1971. Francis was also noted for his essays, many of which appeared in Forum, Christian Science Monitor, Virginia Quarterly Review, Atlantic Monthly, and Massachusetts Review. The Satirical Rogue on Poetry, a collection of essays, appeared in 1968. An autobiography, The Trouble With Francis, was published in 1971. During his life, Robert Francis had a close relationship with the Jones Library. He was a constant patron, made use of a study on the third floor, and laid out an herb garden behind the building. He was well known in Amherst from his poetry readings at the Jones. Among these was his 85th birthday celebration held at the library, attended by a gathering of poets and other admirers. A memorial service after his death was also held at the library.